If you wished to give a welcoming greetings to Hairbuster Riberts, you'd suddenly realize it was Steel Beast 6Beets using a new account so he could contact DerVVulfman or Kirito as he lost his password and had no luck with the other methods to contact the administration. First to greet him was kyonides, indicating that once the new account was active, he would be free and clear to send personal messages. However, DerVVulfman saw the thread and confirmed Steel Beast 6Beets's identity and made contact. robbertt is a new face in the forum, currently on the look out for some old school RMers. Greeting him was our resident werewolf who inquired about his current gaming endeavors. Days come and days go, but birthdays are that special time where we can celebrate the life of our friends and relatives. Of those that came and went, we had the opportunity to celebrate the birthdays of The_Exiled_One, arandomperson and somemook]. And after that, both Helladen and Temper07 had birthdays to celebrate. Later on, , we got to celebrate the birthdays of tuxinator2009, pewds and UselessTheDog. And then goxgaa, MrFunny and kagan429 ] all had a day to share cake together. A recent cold spell was the subject on the mind of DerVVulfman who received a foot of snow while kyonides's home had a cold snap with frost covering the plants and surrounding terrain. For a couple members, being asked the question of "What Are Youtubing?" brought forth music. DerVVulfman found a little bit of dancing humor while TsunamiJurai caught a bit of PokeMon rap with some explicit lyrics. Finding out What's up with your fellow RMers is not hard since we have a topic dedicated to the issues our members may wish to share. And this week, DerVVulfman had plenty of issues with his own MiniMap script until he realized that the map he copied from another project was missing vital Tileset data he neglcted to transfer. 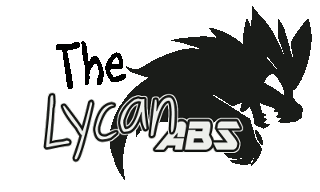 After that, he returned to working upon his Lycan ABS system, adding fixes and compatability patches were needed and new features and options desired. Steel Beast 6Beets had some inquiries about permanent status effects which could be applied by way of passive effects. He made something suitable by way of common events, though it disappeared after battle. DerVVulfman made inquiries how Steel Beast 6Beets wanted the system to work as he suggested that he made an effect that was permanent under most circumstances. With some sadness, TsunamiJurai announced that her project, The Untold Story: Fighting for a New World, will now be developed with RenPy instead of RPGMaker XP due to issues of her activation key having to be re-entered repeatedly with hew Windows 10 Operating system. Kyonides felt a bit sad as he loved playing XP games, but TsunamiJurai has various characters completed and has working Enemy AI and Experience Points systems among other things. This week, TsunamiJurai made a topic announcing that Magi Entertainment is Recruiting for Postions involving Manga Artists, C# Programmers, Spriters and Pixel Artists and animators, and more. Some of the content suggests financial compensation while other positions might not, though negotion could be made via eMail or through Discord communications. More work was perofrmed upon the HiddenChest RGSS Player Executable by kyonides, now having upgraded the weather system to have up to two-hundred sprites. He described within how one can use his the module_attr_accessor feature, and pointed out that a number of recent feature additions were RGSS3 add-ons that he made available for RPGMaker XP games. A list of various classes and methods now available for viewing. This week, there have been a few updates made within kyonides's KyoDiscounts topic, adding a haggling system woth the RPGMaker XP version, having a new released version for RPGMaker VX, and lastly updating a version for RPGMaker VXAce. At this point, al lthree were upgraded to version 1.5.0. The RandomEnkounters XP system was revisited by kyonides, inserting a new fix that prevented the player from slipping under the appearing monster, and adding two new features. For those curious, it involves animation and optional dialog that the monsters may scream when encountered.